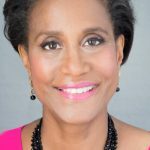 Franne McNeal, President, Significant Business Results LLC., has impacted over 13,000 entrepreneurs and business leaders. She helps clients significant business results: increased sales, improved cash flow, reduced expenses and greater profitability. Her testimonials include over 300 LinkedIn recommendations. Clients choose Franne when they want improvements in plans, people, process, performance and profits. Franne McNeal is a Minority Business Advocate, Small Business Influencer, and Power Woman. She is an internationally recognized speaker, coach, author, radio and TV host. She is also a Business Advisor with the Goldman Sachs 10,000 Small Businesses Initiatives, and an Adjunct Faculty with CUNY, SUNY, and the Community College of Philadelphia. Franne is an avid walker and gardener. She loves people-watching, writing sitcoms and 5-minute zen-like power-naps to refresh her spirits and recharge her batteries! Franne McNeal earned a BA degree from Princeton University and a MBA from Eastern University. She is currently pursuing a Doctorate in Business Administration (DBA).